Jeremy Renner and Gemma Arterton face all sorts of supernatural threat in Hansel & Gretel: Witch Hunters. 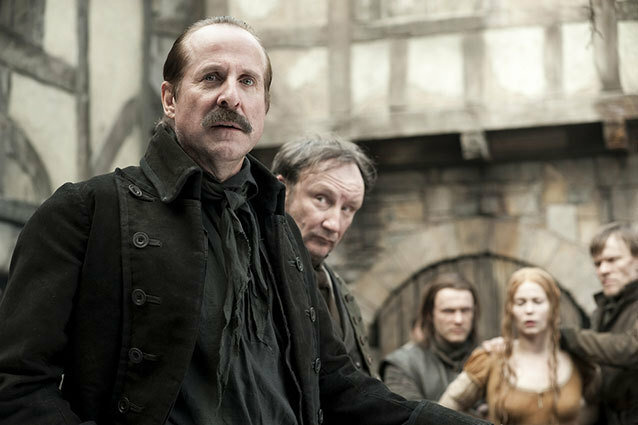 But Peter Stormare’s Sheriff Berringer proves that ordinary humans can be as scary as any witch who lives in a candy house — even if said witch is played by Famke Janssen. In an exclusive clip from the Blu-ray release of movie, in stores tomorrow June 11, Stormare talks about how he made his character over-the-top, yet still pretty freakin’ scary. He credits the streak of darkness that runs through the original telling of the story by the Brothers Grimm. But maybe it’s also because he and director Tommy Wirkola both hail from Scandinavia, where the sense of humor can be ask dark as a winter night. Check out the clip! You can also find out more Hansel & Gretel news @HanselGretel3D. Is ‘Hansel & Gretel: Witch Hunters’ Getting a Sequel?